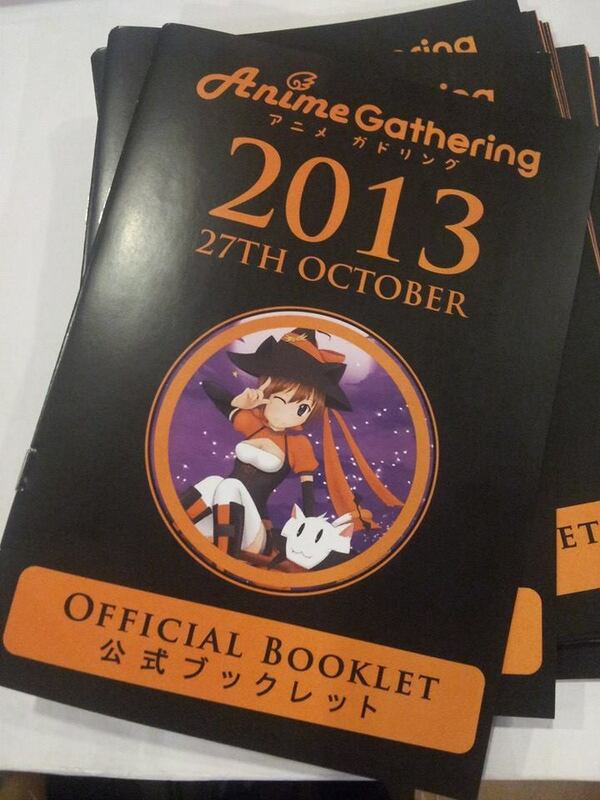 Anime Gathering (AG) was founded back in 2007 in Kuching, Sarawak here in Malaysia by local anime lovers and cosplayers. This year the theme of the party is HALLOWEEN and it is held at a local hotel where the ambiance suits the theme. I love this year's theme. Last year it was SAKURA GAKUEN and it's getting better by the year. I would like to take this opportunity to thanks the top committee Kimberly Chee and Carol Chin and all those involved for their hard work to make this event a success! Everyone dressed up as the character they like or in J-street fashion according to the theme. Food and entertainment were provided, all we need to do is just purchase the ticket online before the day of the event. What's special about this event is that not only food and entertainment were provided, there's even a corner known as Akihabara Street where lots of booths selling Anime/Japanese culture related merchandises were set up. There's also a Maid Cafe photo booth around. Peformance lineup this year includes singing performances, cosplay competition, Batsu game, and 2 band performances. This year, AG committe manage to invite band/artist "Mystical Mirage" whom came all the way from Kuala Lumpur to perform for the night's closing. Songs covered included 1/3の純情な感情 (Samurai X ending) and Guren (the Gazette). They recently released their latest EP "Prelude", all 4 songs isn't bad to listen to. Besides that, local Kuching band rock as well. I like to watch the main vocalist (Pink hair angel in the photo) sing because she has a powerful voice! I really enjoyed the party a whole lot. Rarely I get to see event such as this in Kuching. 2 thumbs up! I hope they will keep on improving and hopefully we'll get to meet some friends from around the world in next year's event!